Strong Diager Drive Tool comes with carbide tip making it resistant to wear and tear, providing many hours of usage without compromise. The Gripple anchor drive tool is needed to drive in the Gripple anchor. Diager Drive Tool Mk 3 - 1.8m long machined steel 24mm dia. 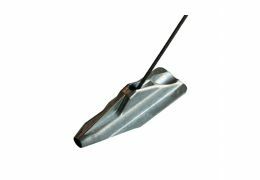 Strong Diager Drive Tool comes with carbide tip making it resistant to wear and tear, providing many hours of usage without compromise.